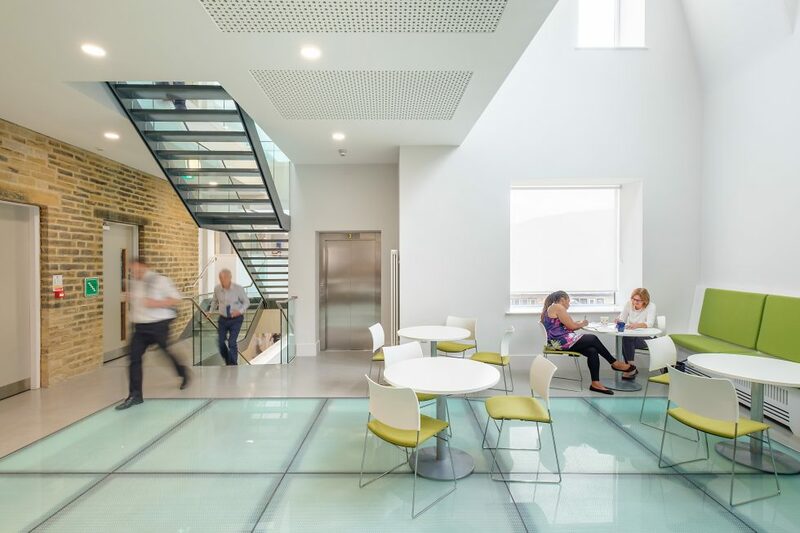 The economic downturn has forced local authorities to look for efficiencies in its accommodation and working practices. 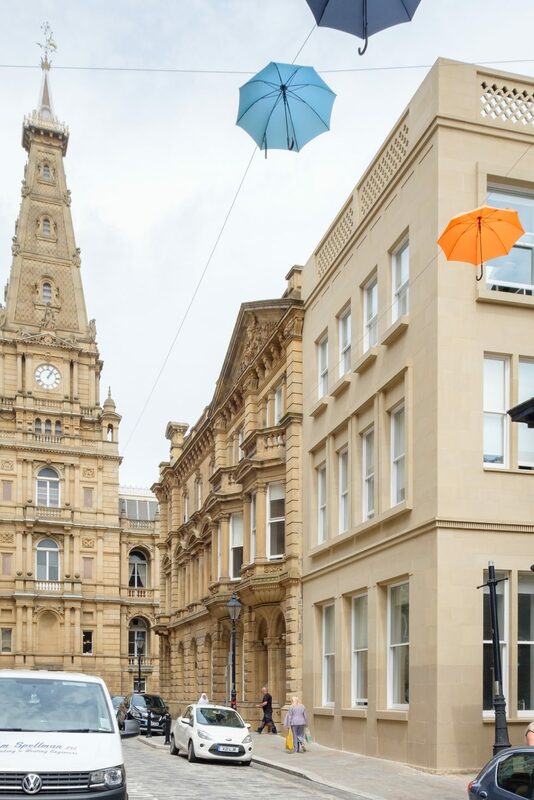 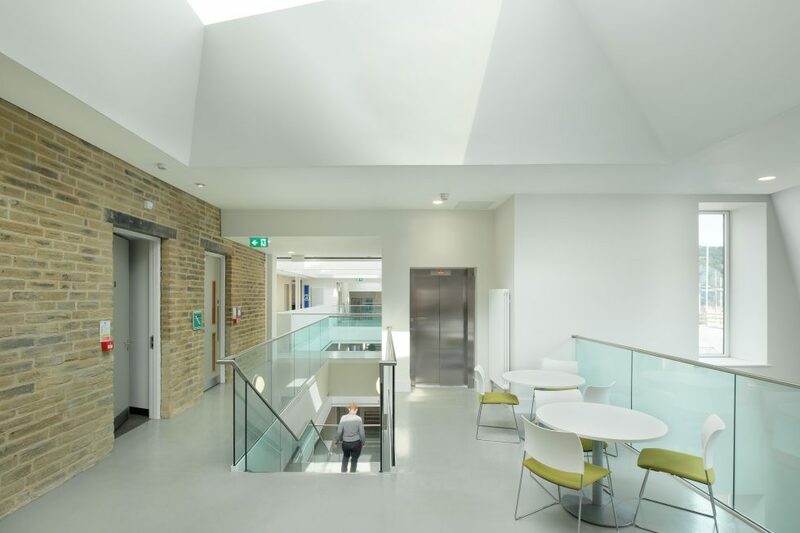 Calderdale Council is no exception and has chosen to centralise some of its services into a refurbished and extensively remodelled series of Grade II listed buildings which it owns. 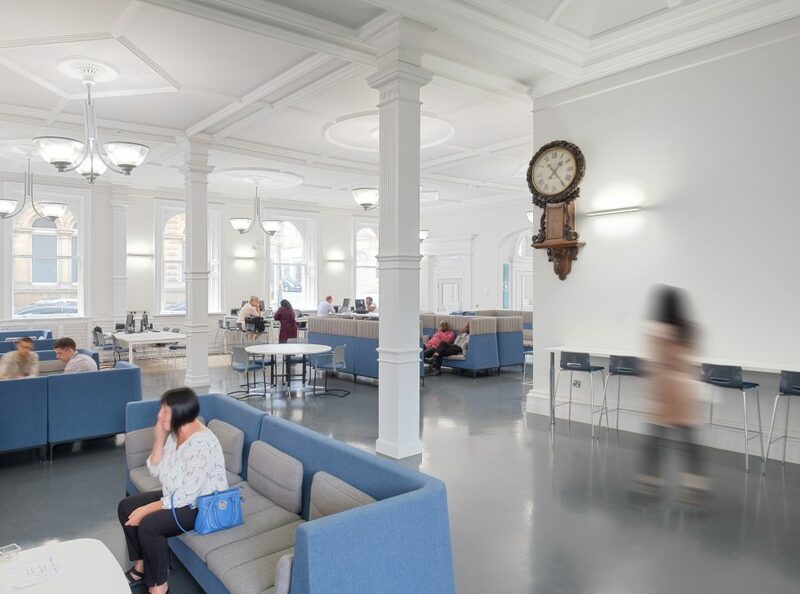 The buildings were previously a series of disjointed cellular spaces with difficult access and circulation that didn’t offer a good working environment. 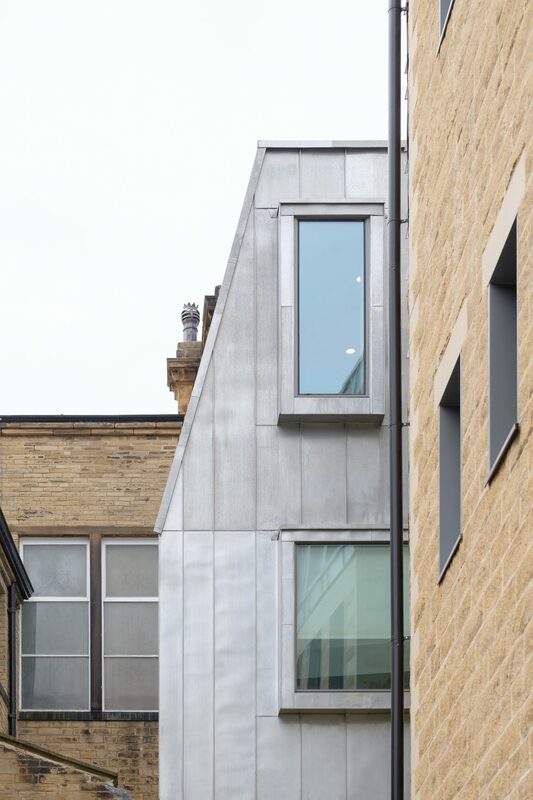 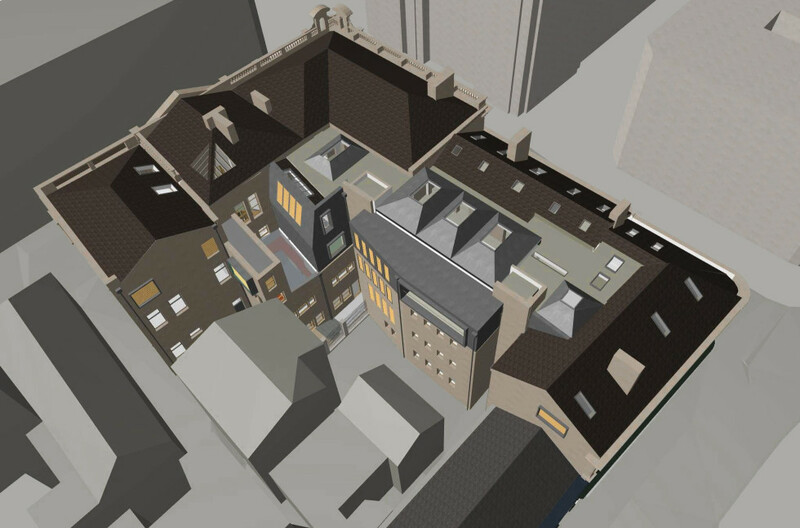 The scheme re-organised and rearranged the interior spaces of the buildings, exposing the high quality heritage detailing, rationalised its circulation by introducing a new atrium to the rear courtyard and rebuilt a previous 1960s extension to the main street, next to the primary facade.